Raining Blobs, while sounding like the name of a B horror film, is a puzzle arcade game that just released for PC. If you are comfortable enough with your friends, you can squish eight people together and host a battle of the blobs. Two people can utilize the keyboard, while the other six can grab a controller for local split screen play. 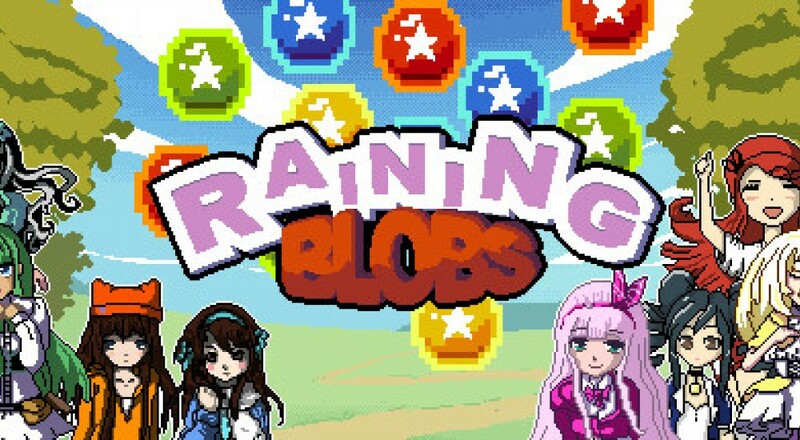 The goal of Raining Blobs is similar to Tetris - clear your blobs in order to survive as long as possible. The actual game play is unique in that you have to match two star blobs together in order to clear an entire blob color group, as long as they are connected horizontally or vertically to the impacted blobs. Multiple difficulty levels and game variants offer the ability to customize the complexity of the puzzles. For example, add invisible blobs or turn on the ability to clear blobs diagonally. Co-op and tournament matches get aggressive as you can flood your opponents screen with junk. Speed becomes key as the more blobs are cleared and combos are completed, the faster garbage piles onto everyone's screen. Multiple character options give you a different skin on you game board, although there are no additional benefits for picking one character over another. Get your blob on now, Raining Blobs has already been released for PC, Mac, and Linux systems. Page created in 1.4964 seconds.